Firstly nClone is a great disk imaging tool, once installed on your nas you can boot your PC and ghost/image the hdds from and to it. 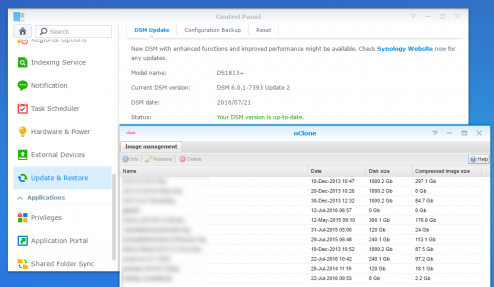 So Synology released a new DSM and with it came new security. As per every previous version the great nClone utility that hasn’t seen an update since 2012 breaks, and it usually takes me a few days to get it working again. 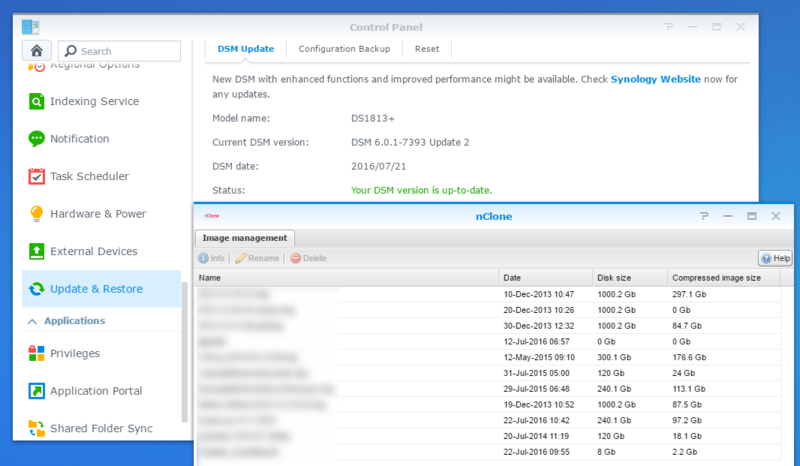 With DSM 6 I couldn’t get it to work. Luckily enough a french Synology forum user starlst has changed the code to get it working again. (Thanks starlst.). Because we don’t all want to sign up to the forum and sometimes files disappear i have uploaded a copy below. Enjoy all. It is still working for me, but i havent updated Synology for a few months. the biggest issue was if you tried to use a different dhcp server as well as nclone as it wouldnt bind propperly(as expected).